S -22° 0' 0" and E 47° 50' 59"
Amboanjo in Vatovavy Fitovinany Region with it's 17,000 citizens is a town in Madagascar about 214 mi (or 345 km) south of Antananarivo, the country's capital city. Current time in Amboanjo is now 10:46 PM (Saturday). The local timezone is named Indian / Antananarivo with an UTC offset of 3 hours. We know of 8 airports near Amboanjo. The closest airport in Madagascar is Manakara Airport in a distance of 14 mi (or 22 km), South-East. Besides the airports, there are other travel options available (check left side). When in this area, you might want to pay a visit to some of the following locations: Manakara, Farafangana, Fianarantsoa, Ambositra and Ihosy. To further explore this place, just scroll down and browse the available info. Let's start with some photos from the area. 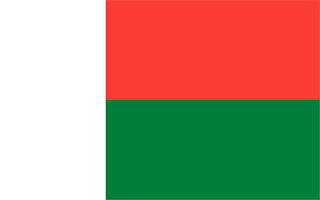 Manakara is a city in Madagascar. It is the capital of Vatovavy-Fitovinany Region. The city is located at the east coast near the mouth of the Manakara River and has a small port. The bridge over the Manakara River that connected the northern and southern parts of the city partly collapsed in September 2012. It is the endpoint of the Fianarantsoa-Côte Est railway (FCE), which connects the city of Fianarantsoa with the sea. Located at -22.15, 48 (Lat. / Lng. ), about 14 miles away. Manakara Airport is an airport in Manakara, Vatovavy-Fitovinany Region, Madagascar. Located on the east coast on the island. It is one of only a few airports in the world that crosses a live railway line, the other two airports being Peshawar Airport in Pakistan and Gisborne Airport in New Zealand. Located at -22.1197, 48.0217 (Lat. / Lng. ), about 14 miles away. Vatovavy-Fitovinany is the South-East region of Madagascar. Capital: Manakara Chief: Georget Mandehatsara (since March 2012) Dialectical: Antemoro Transportation mean: Train (from Fianarantsoa) Car Taxi-Brousse Plane Manakara port is only used for product shipment and transit The region extends along the southern part of the east coast of Madagascar. It is bordered by Atsinanana (North), Amoron'i Mania and Haute Matsiatra (West) and Atsimo-Atsinanana (South). Located at -22.145, 48.01 (Lat. / Lng. ), about 14 miles away. Ambahatrazo is a town and commune in Madagascar. It belongs to the district of Manakara, which is a part of Vatovavy-Fitovinany Region. The population of the commune was estimated to be approximately 10,000 in 2001 commune census. Only primary schooling is available. The majority 90% of the population of the commune are farmers, while an additional 5% receives their livelihood from raising livestock. The most important crop is rice, while other important products are lychee and cassava. Located at -21.8667, 47.95 (Lat. / Lng. ), about 11 miles away. Sahanambohitra is a town and commune in Madagascar. It belongs to the district of Manakara, which is a part of Vatovavy-Fitovinany Region. The population of the commune was estimated to be approximately 5,000 in 2001 commune census. Only primary schooling is available. The majority 99% of the population of the commune are farmers. The most important crop is rice, while other important products are coffee and cassava. Services provide employment for 1% of the population. Located at -21.8667, 47.8 (Lat. / Lng. ), about 10 miles away. Mizilo Gara is a town and commune in Madagascar. It belongs to the district of Manakara, which is a part of Vatovavy-Fitovinany Region. The population of the commune was estimated to be approximately 8,000 in 2001 commune census. Only primary schooling is available. The majority 94% of the population of the commune are farmers. The most important crops are cassava and lychee, while other important agricultural products are sugarcane and rice. Located at -22, 47.95 (Lat. / Lng. ), about 6 miles away. Ambalaroka is a town and commune in Madagascar. It belongs to the district of Manakara, which is a part of Vatovavy-Fitovinany Region. The population of the commune was estimated to be approximately 22,000 in 2001 commune census. Only primary schooling is available. The majority 99% of the population of the commune are farmers. The most important crop is rice, while other important products are coffee and lychee. Services provide employment for 0.9% of the population. Located at -22.1333, 47.7333 (Lat. / Lng. ), about 12 miles away. Ambila is a town and commune in Madagascar. It belongs to the district of Manakara, which is a part of Vatovavy-Fitovinany Region. The population of the commune was estimated to be approximately 17,000 in 2001 commune census. Only primary schooling is available. Farming and raising livestock provides employment for 40% and 37% of the working population. The most important crop is rice, while other important products are lychee and cassava. Services provide employment for 3% of the population. Located at -21.9833, 47.95 (Lat. / Lng. ), about 7 miles away. Amboanjo is a town and commune in Madagascar. It belongs to the district of Manakara, which is a part of Vatovavy-Fitovinany Region. The population of the commune was estimated to be approximately 17,000 in 2001 commune census. Primary and junior level secondary education are available in town. The majority 99.7% of the population of the commune are farmers. The most important crops are coffee and rice, while other important agricultural products are sugarcane and cassava. Located at -22, 47.85 (Lat. / Lng. ), about 0 miles away. Ambohitsara M is a town and commune in Madagascar. It belongs to the district of Manakara, which is a part of Vatovavy-Fitovinany Region. The population of the commune was estimated to be approximately 7,000 in 2001 commune census. Only primary schooling is available. The majority 98.8% of the population of the commune are farmers. The most important crop is rice, while other important products are bananas, coffee and cassava. Located at -21.85, 47.8167 (Lat. / Lng. ), about 11 miles away. Amborondra is a town and commune in Madagascar. It belongs to the district of Manakara, which is a part of Vatovavy-Fitovinany Region. The population of the commune was estimated to be approximately 14,000 in 2001 commune census. Only primary schooling is available. The majority 98% of the population of the commune are farmers. The most important crops are coffee and rice, while other important agricultural products are bananas and cassava. Services provide employment for 2% of the population. Located at -21.9167, 47.7667 (Lat. / Lng. ), about 8 miles away. Ampasipotsy is a town and commune in Madagascar. It belongs to the district of Manakara, which is a part of Vatovavy-Fitovinany Region. The population of the commune was estimated to be approximately 6,000 in 2001 commune census. Only primary schooling is available. The majority 99.9% of the population of the commune are farmers. The most important crops are coffee and rice; also cassava is an important agricultural product. Services provide employment for 0.1% of the population. Located at -21.95, 47.7333 (Lat. / Lng. ), about 8 miles away. Anorombato is a town and commune in Madagascar. It belongs to the district of Manakara, which is a part of Vatovavy-Fitovinany Region. The population of the commune was estimated to be approximately 12,000 in 2001 commune census. Only primary schooling is available. The majority 98% of the population of the commune are farmers. The most important crops are coffee and rice; also bananas are an important agricultural product. Services provide employment for 2% of the population. Located at -22.0167, 47.7833 (Lat. / Lng. ), about 4 miles away. Bekatra is a town and commune in Madagascar. It belongs to the district of Manakara, which is a part of Vatovavy-Fitovinany Region. The population of the commune was estimated to be approximately 20,000 in 2001 commune census. Primary and junior level secondary education are available in town. The majority 97% of the population of the commune are farmers, while an additional 1% receives their livelihood from raising livestock. Located at -22.1, 47.7167 (Lat. / Lng. ), about 11 miles away. Marofarihy is a town and commune in Madagascar. It belongs to the district of Manakara, which is a part of Vatovavy-Fitovinany Region. The population of the commune was estimated to be approximately 7,000 in 2001 commune census. Only primary schooling is available. Farming and raising livestock provides employment for 46.5% and 46.5% of the working population. The most important crop is rice, while other important products are coffee, sugarcane and lychee. Located at -22.0333, 48 (Lat. / Lng. ), about 10 miles away. Sorombo is a town and commune in Madagascar. It belongs to the district of Manakara, which is a part of Vatovavy-Fitovinany Region. The population of the commune was estimated to be approximately 12,000 in 2001 commune census. Only primary schooling is available. The majority 98% of the population of the commune are farmers, while an additional 0.5% receives their livelihood from raising livestock. The most important crop is rice, while other important products are coffee and cassava. Located at -22.1, 47.9167 (Lat. / Lng. ), about 8 miles away. Vinanitelo is a town and commune in Madagascar. It belongs to the district of Manakara, which is a part of Vatovavy-Fitovinany Region. The population of the commune was estimated to be approximately 10,000 in 2001 commune census. Only primary schooling is available. The majority 99.5% of the population of the commune are farmers. The most important crop is coffee, while other important products are cassava and rice. Services provide employment for 0.5% of the population. Located at -22.0167, 47.7333 (Lat. / Lng. ), about 8 miles away. Vohimasy is a town and commune in Madagascar. It belongs to the district of Manakara, which is a part of Vatovavy-Fitovinany Region. The population of the commune was estimated to be approximately 19,000 in 2001 commune census. Only primary schooling is available. The majority 99.5% of the population of the commune are farmers. The most important crop is rice, while other important products are bananas, coffee and cassava. Services provide employment for 0.5% of the population. Located at -22.1, 47.7833 (Lat. / Lng. ), about 8 miles away. These are some bigger and more relevant cities in the wider vivinity of Amboanjo.